Pub quiz teams across the nation are seldom fooled by the question that asks them to name all the actors who have portrayed James Bond. After carefully adding “Bob Holness, radio, 1956” to the answer sheet, they will smugly smile and take another sip of lager. But now the bar-room egg-heads have another name to consider, our very own council leader Mike Bird. Civil liberties group Big Brother Watch have used freedom of information requests to compile a league table of local authorities who spy on residents and their own council staff. Walsall Council came third after running 215 covert surveillance operations in two years using the Regulation of Investigatory Powers Act (RIPA). When the act was rushed through parliament in 2000, it was intended to be used as a weapon in combating organised crime, civil disorder, terrorism and other threats to national security. However, authorities like Walsall have used the act, often without adequate regulation or scrutiny, to entrap fly-tippers, dog foulers, benefit cheats, their own staff members throwing a sickie and totally innocent people. The offences are unpleasant but hardly a threat to national security. The spymasters who indulge in covert surveillance to a greater extent than Walsall are West Berkshire with 228 and Newcastle-upon-Tyne with 231. These villains have, so far, maintained a slightly embarrassed radio silence realising that evil masterminds like Goldfinger and Blofeld would never give away their actual position. Not so with our debonair 007. Mike Bird went onto a local radio show with both Walther PPKs blazing. He claimed to be “proud” of the way Walsall Council spies on its tax-payers and was “disappointed” that Walsall did not achieve the number one position for snooping on people without their knowledge. Interestingly, he seemed to compare anti-social behaviour with terrorism but offered no definition of the type of ASB that is threatening national security. Chavs with a bottle of White Lightening and underpants full of semtex, perhaps? But, to give the pint-sized super sleuth his due, he was robust and consistent in his defence of anti-terror laws as a legitimate instrument to catch people dropping litter. He was consistently robust in being rude, crass and loud. The bloke from Big Brother Watch was so charmed by the representative of the borough of Walsall that the organisation immediately bestowed upon our leader the national Bad Boy of the Week Award. After defending issuing parking tickets on Remembrance Sunday to veterans and war widows, the special agent for Pheasey Park Farm is unlikely to care. In the strange universe he inhabits, he probably sees the award as something of a compliment. His live on-air bluster and non-acceptance of any shame suggests that the grim RIPA will continue to stalk the people of Walsall but Councillor Bird would do well to remember that it is they who pay his allowance and expenses. The pensioner under covert surveillance for leaving a wheelie bin outside for too long might wonder why special operations were not in place when millions in European funding disappeared or why allegations of electoral fraud are now before the courts or how respectable business owners and landlords did not notice that some of their premises were being used as cannabis farms. The powers granted to councils under RIPA are there to safeguard democracy and to thwart organised crime and instead of following hoodies about, 007 might like to don his jet pack and take a look at the rather cosy relationship between those that wield the law and the corporate interests, property developers and PFI contractors doing very nicely thank you from council tax revenues. But 007 was always a maverick. 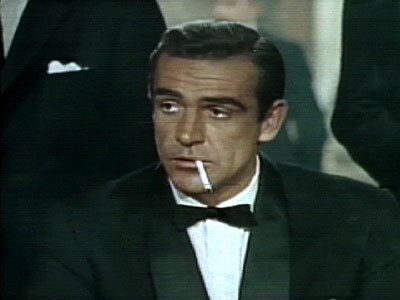 With the laser beam inching towards the family jewels, Bond asked Goldfinger if he expected him to talk. There was a time when ventriloquism was a show business mainstay of what used to be called variety. Bizarrely, the voice throwing trick was even used on radio in the 50`s when Peter Brough and his dummy Archie Andrews attracted 15 million listeners. Sadly, Walsall missed out on vent acts and other music hall entertainment in the 50`s and 60`s because then, and now, there is no viable theatre here which is lamentable for a town the size of Walsall. Ray Alan, possibly the greatest British vent, has died at the age of 79 after a short and sudden illness. His genius lay in his understanding of changing media and his creation of the Lord Charles character. It did not matter if vents moved their lips in variety theatres because anyone beyond the third row would not notice. Television, however, changed all that. So what now for the Lord Charles dummy? It is surely incomprehensible that, in this day and age, that a tall, handsome man could put words into the mouth of an upper class toff puppet. Maybe Nick Clegg should attempt to buy the doll on e-bay. It would give him more credibility. 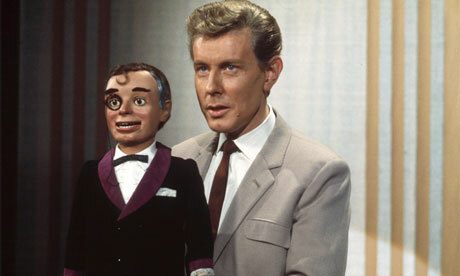 Ray Alan was once asked what was the secret of great ventriloquism. He answered with a single word; “Gratice”. David Cameron might prefer a gottle of geer rather than an arm up his back that makes his lips move. Whatever the outcome, let us hope that Ray Alan rests in peace and allows Lord Charles to give a final reminder that our leader is a silly arse. In a fluid economic environment, a successful business has to be flexible, adaptable and have the ability to diversify. The biggest retailer in Britain, Tesco, did not achieve £62.54 billion in revenue by just flogging own brand cornflakes and cheap alcopops to teenagers. Constantly ahead of the game, Tesco are diversifying into local government. The rather sudden decision to gridlock Walsall town centre with yet more road works will come as something of a shock to beleaguered drivers already experiencing the £23 million traffic calming measure known as the ring road. Delighted town centre traders will no doubt be writing letters of fulsome praise as they watch PFI contractors leaning on shovels and tumbleweed blowing across their shop fronts. The residents of side streets just off the main routes and diversions will chuckle as rat runners, attempting to reach or leave the town centre, deepen the potholes leaving rubble strewn across the road. The reason given for this rush into traffic mayhem is not about highways management infrastructure or access to a once thriving town centre. Instead, it is about the profitability and shareholder dividend of a supermarket chain. The Tesco superstore development on the former site of Walsall College was scheduled to open in the Spring of 2011 but Tesco, always on the look-out for a fast buck, want the temple of consumerism to open before Christmas and so cash-in on sales of fairy lights, force-fed turkeys, fruit, veg and flowers from subsistence farmers in countries far away and the CD of the next winner of some awful television talent show. Having successfully annexed Brownhills and secured the closure of its market and the demolition of local businesses, Tesco is now intent on crushing any potential threats in Walsall town centre. Morrisons have already achieved this in Willenhall. 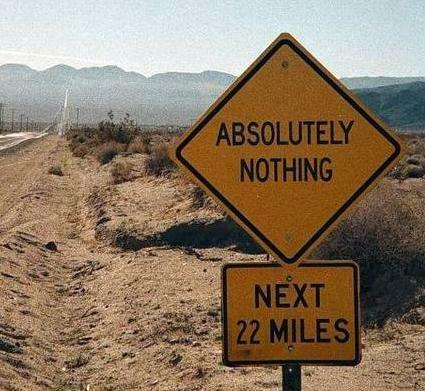 By “requesting” Walsall Council to carry out these road works to allow an ahead of schedule opening, Tesco have asserted their command over local authority policy. Supermarkets, not elected representatives, now control Walsall. Our deluded councillors, especially those in cabinet and on the Development Control Committee (soon to be re-branded as the Planning Committee), cling to the idea that another supermarket is the way forward. But this is not regeneration; this is going belly-up to corporate interests in the hope that no-one will notice that the shelf-stackers in the Council House do not have a clue as to how to run a borough. 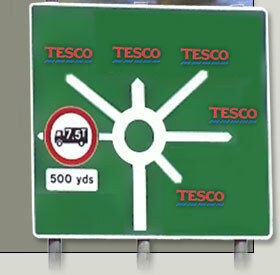 Tesco have been very clever in their portfolio of retail outlets. We have Tesco Superstores, Tesco Extra, Tesco Metro, Tesco Express and Tesco Homeplus. The founder of Tesco, Jack Cohen, famous for coining the phrase “pile it high and sell it cheap”, would be proud that his company has added Tesco Brownhills, Tesco Bloxwich and Tesco Walsall to the company brand. Logic dictates that if this trend continues and the council executive are incapable of providing adequate front-line services, Tesco might then consider offering social care in the reduced past-sell-by date freezer, health care at the pharmacy and education in the DVD and magazine aisle. Transport will be left to the strange looking old man who collects up the shopping trolleys and leadership will be left to the check-out operative who is unable to scan the barcode. Given the current state of affairs, this is likely to be an improvement. On Monday morning, motorists trying to get to work or those trying to get anywhere near the clogged town centre might wish to reflect on Jack Cohen`s later business motto; “You can`t do business sitting on your arse”. Hopefully, Walsall Council will embrace this sentiment. Make sure you have your Clubcards at the ready. The 1892 Walsall anarchist bomb plot was foiled by spurious evidence and dubious confessions and it turned out that the entire plot was an elaborate sting organised by Special Branch. But the anarchists are back; only this time they are in the skies above us serving tea and coffee on inbound 747s overflying Walsall. The prerogative to withdraw labour is one of the basic differences between a free society and slavery. All eight sets of legislation introduced during the Thatcher and Major years designed to curb the rights of employees and trade unions still enshrined the right to strike. That was a civil liberty too far even for the Iron Lady. 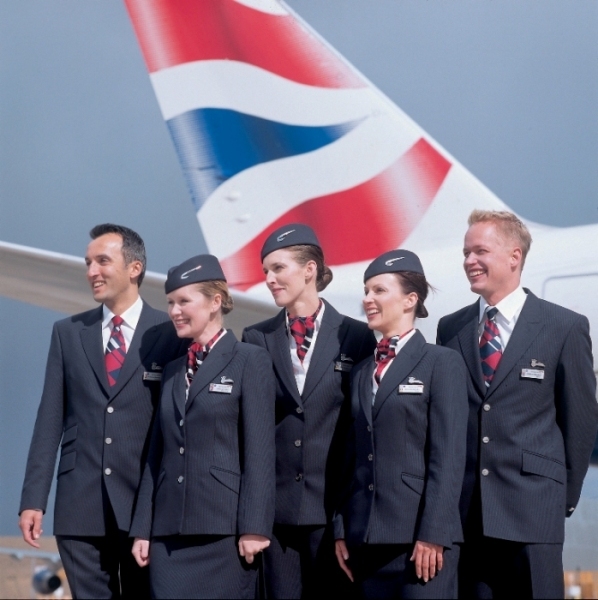 When loss-making British Airways decided to cut the levels of cabin crew and introduce a pay freeze, the union Unite balloted for strike action. It was clear from the outset that the violent, life-or-death industrial pitched battles of the 80`s are unlikely to be repeated. This did not stop the barristers and sections of the press branding cabin crew as anarchists plotting the downfall of all we hold precious. The riot squads and mounted police, however, are unlikely to be needed unless there are legions of muscle-bound, brick-throwing Trotskyist air hostesses and stewards waiting to bring down international capitalism from their secret bunkers in Surrey tanning salons. This dispute might result in the denial of the right of legitimate trade unions to organise lawful industrial action in the future and, if it is the end of Trade Unionism, there is a beautiful symmetry to the beginnings of the hard won struggle for a fair days pay for a fair days work. In 1832, at about the time of the introduction of the Reform Act, the Friendly Society of Agricultural Labourers was formed in Tolpuddle, Dorset to protest against wage cuts for farm workers. A local landowner outraged at such impertinence, wrote to the Prime Minister citing an obscure law that states the action of swearing an oath with fellow members of a union was illegal. The six men, including George Loveless, a local Methodist preacher, were tried, convicted and transported to Australia. Their martyrdom led to the founding of the Trade Union movement. Fast forward 178 years and the Chief Executive of a failing company, outraged at the impertinence of his employees, instructs his learned friends to cite an obscure sub-section of the Trade Union and Labour Relations (Consolidation) Act 1992. It seems that Unite did not adequately inform its membership of 11 spoilt ballot papers and so a judge in High Court ruled the vote invalid and granted an injunction outlawing the strike. 80% of the 12,000 Unite members working for British Airways voted in the strike ballot; 81% were in favour of industrial action. The 1992 Act, a descendant of the Trade Disputes Act of 1906, has more to do with the Industrial Revolution than the 21st century Communications Revolution. The legislation assumes that groups of disgruntled artisans are gathered in workhouse factories and dark, satanic mills and not scattered around the planet rotating aircraft in Los Angles, Rio, Singapore or, with delicious irony, transporting people to Australia. A union convenor would need a pretty loud voice to inform his branch members of 11 spoilt ballot papers. This is not the first time the technical minutia of the Act has been used to take out an injunction to block industrial action. A lawful walk-out by the RMT rail union was blocked by a judge who, as with the Unite case, considered the use of the internet, texts, e-mails, leaflets and notices as being insufficient under the terms of the Act. Instead, each union member should have been sent a letter detailing the full results of the ballot. If, in this digital age, the Act is to be used to obstruct the right to strike, expect an amendment that requires the letters to be hand-written on parchment using a feather quill and conveyed by carrier pigeon. The imposition of the injunction produced an immediate appeal, the result of which will produce another appeal and a third ballot. The attempt to halt the strike using legal technicalities is a little like making it illegal for a volcano to erupt. Interestingly, the loss of passenger revenue has brought about a change in the rules and regulations surrounding the ash being produced by the Icelandic volcano whose name newsreaders dare not speak. Apparently it is now safe to fly through twice the level of ash than previously thought. As profits plummet, safety parameters will become increasing lax. The rigid application of a law introduced at the dawn of the Communications Revolution might give short-term comfort to British Airways and its lawyers but it is likely to provoke an epic battle over what unions consider to be the inalienable right to withdraw labour. If the law regarding the issue of spoilt ballot papers were applied to the inconclusive result of the general election, what would the judges make of the people disenfranchised by being turned away from polling stations? The numbers of people not allowed to vote might not have altered the final results in the constituencies involved, but if 11 spoilt strike ballots is cause for a valid injunction, a locked polling station means that this coalition government is void. So keep an eye on those vapour trails coming in from the direction of Essington at 30,000 feet. The chances are an anarchist is setting the doors to manual. Two out three judges at the Court of Appeal upheld the case for the Unite union proving that two out of three judges are not fools. A series of strikes are likely to start as early as next Monday and will continue until just before the start of the football world cup in South Africa unless an agreement is made. The decision sets a precedent that will make it impossible for managements to deny the right to strike on irrelevant legal technicalities. It is still not clear if British Airways will re-instate the union officials who were suspended for organising the now legal ballot or allow travel concessions taken away from staff who had the impertinence to vote in favour of industrial action. Having successfully swelled the bank balances of umpteen lawyers, British Airways will be considering their next move. The more vocal anarchists walking backwards down the aircraft aisle pulling a trolley might find themselves rostered to Bangkok with a three week stop-over. They know how to deal with protesters in Thailand. Those good people at Advantage West Midlands have commissioned a poll to find the most popular tourist attractions in the region. As with all polls, there is a built-in margin of error and this error can be the only explanation as to why the West Midland Safari Park in Bewdley was voted the top attraction instead of the Norfolk Place Engineers` Canteen in Walsall. Birmingham might have its Thinktank, Sealife Centre and Kraft World – sorry – Cadbury World, Kidderminster and Bridgenorth might have the Severn Valley Railway, Staffordshire can boast Alton Towers and Drayton Manor, Dudley has a zoo and a living museum and Ironbridge has, well, an iron bridge but these are mere sideshows when compared to the magnificent spectacle of the Walsall Illuminations. Ah, yes – perhaps the margin of error in the poll is too narrow to include the fact that the illuminations have been cancelled to save money. But there are a multitude of other cultural wonders to delight and entertain the literati of Walsall. If recently published figures are to be believed, the New Art Gallery attracts crowds similar to the Pope at an airport. The cultural influence of the Art Gallery is confirmed by the fist-fights between young men in Burberry caps and hoodies desperate to view the Garman-Ryan collection and the informed discussions between 16-year-old mothers on the merits of the later works of Matisse as they manoeuvre pushchairs around Poundland. A quick glance at the list shows that the Leisure and Culture Service “encompasses” various jewels in the crown including Bryntisilio Outdoor Education Centre – still under threat of closure to save money, all 5 leisure centres – under threat of closure to save money, the Grange Golf Course – closed to save money. Parks and play areas are also within the remit. Half of George Rose Park in Darlaston has been given to an evangelical millionaire wishing to convert the heathens of that town. The Playbuilder scheme, funded by the previous government, has been met with fierce opposition from locals who object to having half-hearted token schemes plonked on them without adequate consultation. But, on the plus side, we have Walsall and Darlaston Town Halls and the Forest Arts Centre for all our cultural needs. Coming up at Walsall Town Hall is an evening with The Bachelors and then you have until July to calm down until we have not one, but two Elvis impersonators at the Forest Arts Centre. The programme of events at Darlaston Town Hall is even better – there isn`t one. Those thirsting for knowledge might consider a visit to our wonderful museums and libraries, but don`t go on Mondays, they are closed to save money and visitors to the Leather Museum, now almost cut-off by the preposterous ring-road, take their lives into their hands when crossing the road. A museum devoted to Jerome K Jerome, arguably Walsall`s most notable citizen, closed because funding was withdrawn to save money and the council were more than happy for the Black Country Living Museum to take control the Willenhall Lock Museum. At one point there was a proposal to move the Locksmith`s House, brick-by-brick, to Dudley. Curiously, lumped in with the Leisure and Culture Service Standards are catering services including school meals. More and more schools are opting out because the service and food is so poor. Soon, all that will be left on the leisure and culture list will be the Town Hall restaurant and that magnet for the tourist dollar, yen and euro, the Norfolk Place Engineers` Canteen. Heritage tourism is a money-spinner and Walsall must be irresistible to culture vultures. The historic markets in Brownhills, Willenhall and on the bridge, wonderful ancient pubs like the Bell in Willenhall and the lovely old church on Mellish Road are right up there as attractions along with the Saddlers Centre, the Tameway Tower and the Hatherton Street car park. In the early 1930`s, the cunning people of Inverness cashed in on the inter-war popularity of motoring holidays by inventing a monster to attract thrill-seekers and money to their remote and struggling town. After being too busy closing things to make any claim on the now Birmingham/Stoke Hoard, perhaps Walsall Council should invent something that will draw visitors and encourage them to part with their cash. With the lottery funded improvements to the Arboretum hopefully imminent, invented sightings of a hippo in Burberry cap and bling on Hatherton Lake in Boudicca`s chariot carried by a Viking long ship will have the crowds flocking to the refurbished tea-room and place Walsall as the most popular tourist attraction in the region. Until then, it may be advantage West Midlands, but it`s game, set and match to the philistines that run Walsall.